Easter Special — Complete three course dinner comes with starter of asparagus and shrimp salad — asparagus, shrimp, roasted cut corn lightly tossed in seasoned olive oil, served on iceberg leaf lettuce; entrée of stuffed lamb chops (with sauteed spinach, fresh herbs, feta cheese, drizzled with rosemary demi glaze), accompanied with scalloped potatoes and rainbow baby carrots; dessert of vanilla bean ice cream and berries. 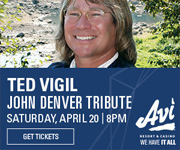 Price/Time: $60 per person —Sunday, April 21 (5 p.m.-9 p.m.); reservations recommended, call 702-298-6832. Carving station — slow roasted prime rib; roasted Tom turkey breast and turkey thigh meat; ham, bacon and sausage links; seafood — lemon-brandied poached peel-and-eat shrimp, fried calamari, baked Pacific cod fillets, shrimp and crab omelets, smoked salmon lox & bagels; soups — 7 Seas, Asian-style shrimp and vegetable, menudo; other entrées — ranch-fried chicken; raviolis florentine; sweet & sour chicken, eggs Benedict; chicken Cordon Bleu, Italian rope sausage & peppers, beef tamales, biscuits & sausage gravy; specialty desserts include Cherries Jubilee, Bananas Foster, créme brulé, fruit cobbler, apple strudel, assorted mousse parfaits, chocolate fountain and many more. 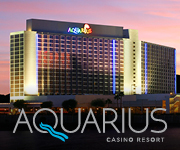 Price/Time: $19.99 with Caesars Rewards card/$21.99 without card —Sunday, April 21 (8 a.m.-2 p.m.). 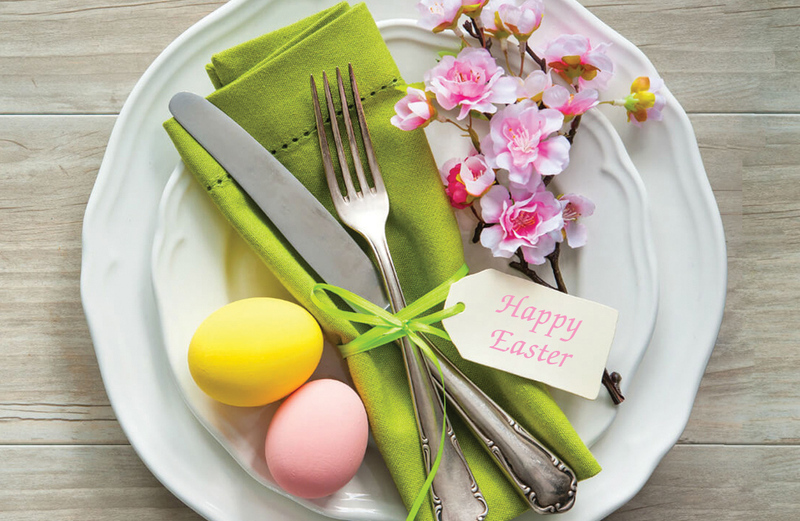 Easter Special — Three-course dinner comes with soup of the day or salad; entrée — honey glazed ham sliced and served with pecan green beans, marshmallow baked yams, Hawaiian sweet bread; and dessert of chocolate cake. Price/Time: $15.99 per person —Sunday, April 21 (11 a.m.-10 p.m.). Easter Champagne Brunch: Items include carving station — prime rib, lamb, slab bacon, honey-glazed ham, hickory-smoked brisket; omelet station; waffle station; crab legs, escargot; assorted salads, sides and desserts including wild berry trifle and peach berry cobbler; champagne for those over 21 years of age. Price/Time: Discounted prices (depending on tier level) with True players card from $22.50; $30 without a card — Sunday, April 21 (7 a.m.-3 p.m.). Easter Special: Complete meal including an appetizer of pan-seared scallops with lemon herb Beurre Blanc; soup of lobster bisque or salad of mixed field greens with asiago dressing; choice of entree — Mary’s whole chicken breast stuffed with lobster Beurre Rouge or 24-ounce Porterhouse steak, both served with garlic mashed potatoes and tri-colored cauliflower; dessert of fresh fruit tart with berry compote, and a chocolate dipped strawberry. Price/Time: $34.20 with True players card; $38 without a card — Sunday, April 21 (4 p.m.-10 p.m.); reservations recommended, call 702-298-5111, ext 420. Easter Special — complete dinner with filet mignon and King Crab Francaise, asparagus. Price/Time: $44 per person — Sunday, April 21 (4 p.m.-9 p.m.); call 702-298-4200 for reservations. Easter Special — Easter ham with green beans amandine, mashed potatoes, and strawberry parfait for dessert. Price/Time: $14.99 — Sunday, April 21 (specials available 11 a.m.-10 p.m.; regular menu available 24 hours). Easter Special — entrée of rootbeer-glazed spiral ham or garlic rosemary crusted rack of lamb, both served with choice of carrot or strawberry rhubarb cake. Price/Time: ham $35 per person; lamb $47 per person — Sunday, April 21 (4 p.m.-9 p.m.). Easter Special — choice of house salad or soup of the day; entrée of roasted garlic and herb pork loin with creamy marsala sauce served with house vegetables. Price/Time: $13.99 — Sunday, April 21 (special available 11 a.m.-10 p.m.; regular menu available 24 hours). Carving station; variety of entrees, hot line; cold line; breakfast favorites; variety of salads, seafood and sides; complete specialty dessert display including sugar free selections. 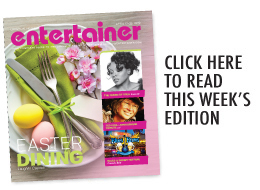 Price/Time: $27.99 — Sunday, April 21 (8 a.m.-2 p.m.). Carving station with prime rib with beef brisket; entrées of grilled lemon pepper cod, chicken breast marsala, jumbo fried shrimp; soup and salad bar; variety of sides; complete dessert island with wide variety of items. Price/Time: $19.99 — Sunday, April 21(4 p.m.-8 p.m.). Easter Specials — Ham steak and eggs breakfast served with hash browns and choice of toast. Price/Time: $8 — Sunday, April 21 (7 a.m.-2 p.m.). Easter Dinner for two — Appetizer of Bighorn deviled eggs; choice of soup or salad, entree of baked ham, baby carrots, mashed potatoes and gravy with a dinner roll; and dessert of carrot cake. Price/Time: $40 — Sunday, April 21 (2 p.m.-10 p.m.). Easter Special — Glazed spiral ham with apple cranberry chutney, soup or salad, choice of potato, seasoned vegetables with strawberry cheesecake for dessert. Price/Time: $14.99 — Sunday, April 21 (special available from 11 a.m.-10 p.m.; regular menu available 24 hours). Carving station — Roast pork, leg of lamb with mint demi; and roast beef; specialty entrées — smoked brisket with bourbon sauce; Seafood Newburg; maple-glazed ham with pineapple salsa; grilled bratwurst; salmon with dill sauce; Chicken Marsala, shrimp scampi and more; breakfast items — features an omelette station and waffle station plus a wide variety of items including eggs Benedict, hash brown casserole, sausage, scrambled eggs & chorizo, French toast and more; salad station — deviled egg salad, Waldorf salad, carrot and raisin salad, fresh fruit, peel-and-eat shrimp and more; dessert station with wide variety of desserts. Price/Time: $17.99 adults (includes champagne); $10.99 ages 4-12 — Sunday, April 21 (7 a.m.-2:30 p.m.). A wide variety of entrees, sides, salads and desserts. Price/Time: $15.99 adults; $8.49 ages 4-12 — Sunday, April 21 (3:30 p.m.-9 p.m.). Serving (choice of) prime rib or chicken Cordon Bleu or baked ham or fish selection. Price/Time: $18.99 for any entrée selection — Sunday, April 21 (2 p.m.-10 p.m.). Specialty of French, Italian and Steakhouse menu available (5 p.m.-10 p.m.). What's your favorite aspect of the Laughlin casino scene? Please contact us at (928) 763-2505 for advertising opportunities.